Whether it’s fishing, hiking or boating; outdoor sportsmen want the best gear possible. Hunting enthusiasts are no different. With so many variations of products available, we need the right backpack to suit our needs. Before investing in hunting gear, I like to know I’m getting the best value for my money. When I began researching the best backpack, I found there are many available. There is the ability to add attachments. There are choices of an inside or outside frame. The combinations of features are endless. So, how did I determine the best hunting backpack to suit my needs? I did a lot of comparing, weighing pros and cons, and reading customer reviews. Here’s what I discovered when looking for a hunting backpack. I hope this buying guide helps find the perfect hunting backpack. Size: Hunting backpacks are measured in cubic inches. There are many different sizes available. You should consider how you will be using the backpack. Consider the lengths of time it will be in use. Your build should factor into your decision. Weight: Check the weight of the pack. Also, consider the weight of the items you will be putting in it. Pockets: You may enjoy organization. Check the number of pockets. Frame: Some backpacks come with an internal or external frame. Some smaller packs do not have a frame. Bow/Gun Carrying Capabilities: Make certain the pack is capable of carrying a gun. If you hunt with a ﻿﻿bow, make sure the pack has room. Water Resistant: If the weather doesn’t affect your hunting plans, you may want a weatherproof backpack. Most packs include a rain cover. Hydration Pocket: Easy access to your water bottle is important. Check for hydration or water bottle pockets and their location on the pack. Straps: Comfort is a must. Some backpacks come with padded shoulder and waist straps for easier carrying. All straps should be easily adjusted. Price: With hunting backpacks, prices can vary. Decide how much you would be comfortable spending. Compare the features of backpacks within your price range. This day pack is a top choice among reviewers. It features a large front accessory pocket plus a main pocket inside. Lower side mesh pockets on each side are perfect for water bottles. The adjustable shoulder straps are padded along with the waist belt for added comfort. It also features a sternum strap to help take some of the weight off of your shoulders. It includes a hydration pocket and port and bartack webbing for adding attachments. Plenty of room for a day hike or even for overnight, it has 2.285 cubic inches of storage capacity. 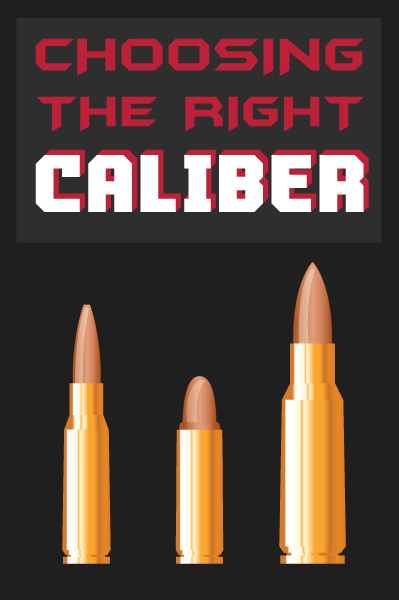 Lightweight at 2 pounds and 1 ounce, it comes with a limited lifetime warranty. It was excellent quality. It took abuse all season and showed no signs of wear. It is flexible yet rugged. At a great price, this day pack is an excellent option. If you plan to carry it for very long, the padded straps are an absolute plus. This incredibly versatile pack fits securely carrying heavy loads. It has extension lashing straps included for extra large loads. It also fits a wide variety of compound bows. With the ability to change from a fanny pack to a day pack, you can use it for day hikes or for hunting/camping trips. The fanny pack has 800 cubic inches of storage capacity. When the day pack is expanded, it adds an additional 1900 cubic inches of space. The pack is designed with a carrying system for hauling your game. Designed by hunters, this pack is compatible with all other ALPS pocket attachments. The padded waist belt adds comfort to the 3 pound 5 ounce pack. It contains plenty of pockets including one on each side. It has a front and main pocket, and one in the fanny pack and inside the day pack. I had only great things to say about this pack. You can strapp your sleeping bag and tent on using the hauling mode, but sometimes you still have plenty of room to store essentials. Very affordable, this pack is an excellent buy with all the capabilities. The strong frame and adjustable suspension on this pack make it an excellent choice. It is designed and vented for hauling out game. It is large enough for bigger items such as a tripod or tent. It contains a weapon carrying system so you can easily carry your rifle or bow. The padded spotting scope pocket fits most larger spotting scopes. Storage capacity is 3300 cubic inches. You can unzip the expandable pack section for an additional 1200 cubic inches. With plenty of pockets, it contains two easy access pockets on the foam waist belt. It has a large main compartment, side pocket, internal pocket, and two front wing pockets. There are also side compression straps for attachments. This pack has an “H” frame design made of tubular aluminum and adjustable torso range. It also includes a rain cover for weather protection. I love the sturdiness and adjustable suspension. Great value for the money, this hunting pack is ideal for many uses. Anything you can think of that makes a hunting backpack great is included in the Tenzing TZ 6000. It has an adjustable suspension system. It also contains two internal rigid aluminum frame stays. It has a storage capacity of 4400 cubic inches and can expand to 6013 cubic inches. It has a sizable, breathable meat compartment measuring 25.5″ x 11.5″ x 5.5″ for your big game kill. With twenty compartments and pockets, you won’t have trouble keeping your pack organized. The main compartment measures 28″ x 11.5″ x 8″ and has triple entry. It features padded hip support for added comfort and has a channeled, air cooled back pad. The features are incredible with a rain cover, detachable fanny pack, and a separate sleeping bag compartment. It has H2O compatibility and two expanding side compartments for your scope. It has 5 lateral compression straps to help secure the load. It has the ability to add 2 lower compression straps for attaching extra gear. The pack weighs 4 pounds 6 ounces. I think, it is a must have item. For the price, this backpack is a must have for extended hunting trips. It’s also great for those expecting to bring home big game. This large size hunting pack features 2500 cubic inches of storage capacity. Its features include an expandable pocket for carrying your gun or bow. It has a hydration pocket and port. Also included is a Blaze Orange rain cover. Extra support is offered with the PE frame sheet. The bartacked webbing is perfect for adding attachments. For a large pack it weighs less than others its size at 2 pounds 9 ounces. Its sturdy design and material helps you move quietly on the trail. You will love the quality and adjustable straps. Very affordable, this pack has a lot to offer for the price. This backpack is easily customized to fit your individual needs. It has 11 compartments or pockets and room for attachments. You’ll have all the room you could possibly need. It has an internal aluminum frame and padded hip support. It has adjustable shoulder straps and waist strap. There are pockets easily accessed on each side of the waist strap. It includes a channeled air cooled back pad and a foldout gun or bow carrying boot. At just 4 pounds, this backpack has the storage capacity of 2200 cubic inches. A rain cover is also included. You can trust for the quality and attention to detail. It is affordable and has the ability to be customized. The Tenzing TZ 2220 Hunting Backpack is a quality choice for any hunter. Lightweight, yet still durable, this day pack has a T-6 aluminum internal frame. It also has hypervent suspension for extra comfort. The KXO 32 camo material is durable and quiet while you are walking. It contains 2 compartments and 6 pockets. The storage capacity is 1900 cubic inches allowing plenty of room for your gear. It’s very affordable and is a great pack. It is also backed with the Badlands guarantee, “We will fix it for free forever”. It has a large storage capacity and maintains a lightweight feel. At its price, it’s a perfect buy. This hunting pack has a combination of load control compatible straps. It has a plastic frame sheet and internal aluminum Cellular Stays. These work together with the harness and padding to provide the best support. Made of 1000 denier nylon, the support, padding, and vent system are all hand sewn. It measures 24″ in height, 11″ in width, and 7″ in depth and has a storage capacity of 2150 cubic inches. It’s able to hold 2 3-liter hydration kits. These are mounted in the side pockets. Or, it will hold 2 2-liter bladders in sleeves inside the outer pockets. It comes with a rain cover and is covered with PALS compatible webbing for extra attachments. Weighing at 6 pounds 7 ounces, customers love how well the weight is distributed and its comfort. Others raved about the number of pockets and storage capabilities. I think, It’s worth every penny. The support system alone makes it an excellent choice in hunting packs. The ALPS freighter frame has unique lashing to secure your game. It’s also used for hauling larger loads. Along with the pack, you get everything you could possibly need. The hold open frame has an internal horizontal divider. Included is a rifle holder and zippered pockets on the padded waist strap. The padded shoulder straps are also adjustable. This top loading frame and pack has lower door access and measures 15.4 x 6.7 x 2.4. The pack alone weighs 2 pounds 3 ounces, and with the frame, the weight is 7 pounds 5 ounces. It has a storage capacity of 5250 cubic inches. I love the quality, strength, and the fact that it has a lot of space. Someone claimed you will not find a more useful pack for the money. And, the value you get with the price, I believe he is correct. The ALPS OutdoorZ Pursuit Hunting Back Pack is as comfortable as it looks. With extra padding and plenty of pockets, it’s certain to fit the needs of any hunter. It fits a wide variety of bows, and the bow pocket stows away when not in use. Weighing 4 pounds 1 ounce, the padded waist belt includes 2 pockets. There is a large front and main pocket. It has lower side mesh pockets. It also contains a front lashing system with webbing loops. Designed with a center aluminum stay, it is made of brushed Realtree Xtra HD fabric. A hydration pocket and port, and a blaze orange rain cover is also included. I love the organization, versatility, and comfort claiming they would buy again and again. For the price, you can’t go wrong with the comfort it provides. This backpack would be an excellent choice. Take into consideration the game you will be hunting. A smaller pack would be great for duck hunting. A larger one would be needed for hunting deer. There are extra large sizes available. These could be used for carrying tents and returning with large game. The size of the pack is very important. Planning on how you will be using it will help you decide the size you need. Consider what size you will be most comfortable carrying. The material of the bag should be something you are comfortable with. The material needs to be vented. Make note of whether or not the pack is weather resistant. A lot of the more popular packs come with a rain cover. You do not won’t to carry a wet pack. It will add much more weight.Check the durability of the pack. Make sure it will hold up with your plans of use. Read reviews about the material. Find the number of pocket or compartment openings. A good hunting backpack does not need to make a lot of noise. You should be able to move discreetly. You want the pockets to open quietly. Always consider the weight of the pack. And, don’t forget to figure in the items you plan to use in the pack often. A tent or food can add a lot of extra weight. 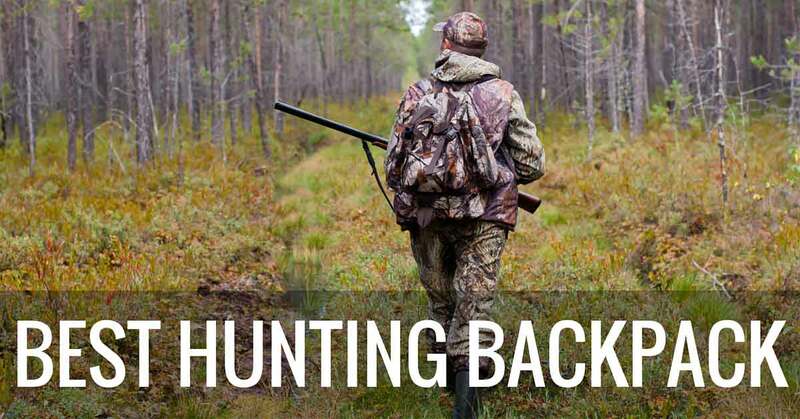 As you can see, there are many brands and many types of hunting backpacks on the market. The best thing to do is read reviews and carefully consider how you will be using the pack on a regular basis. Comfort is an important factor. The ability to carry everything you need is an important factor to consider. Even the most unorganized person may be extra picky about how their gear is packed. Check the number of pockets available. Make certain the number will fit your needs. Many hunters like to be able to attach flashlights or other small gadgets to the outside. Easy access is important. Several packs are available with attachment capabilities. I hope this guide helps you enjoy finding the best hunting backpack for your needs. You certainly cannot go wrong with any of the above listed backpacks.